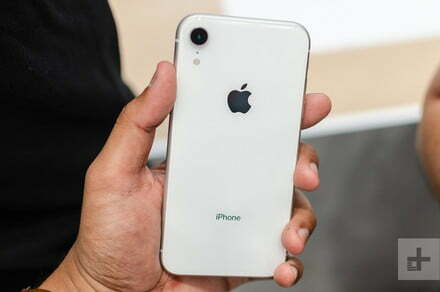 Apple announced a bunch of new iPhones on Wednesday, but if you’re sticking with your current iPhone for now, there’s a chance you may be considering a new battery for the device. And with news this week that replacement fees are set to rise at the start of 2019, you’ll want to sort it out sooner rather than later. Apple cut the cost of battery replacements for out-of-warranty iPhones in January after it got into hot water over some less-than-transparent behavior that involved slowing down older iPhones to prevent unexpected crashes. But these lower prices will be ditched at the end of this year. From January 1, 2019, a battery replacement for the iPhone Xs, iPhone Xs Max, iPhone XR, and iPhone X will cost $69. For all other eligible iPhones — that includes the iPhone SE, iPhone 6 and later — the fee will rise from the current $29 to $49. Before Apple’s battery fiasco kicked off at the end of 2017, a new iPhone battery cost $79. If the iPhone is in warranty or part of AppleCare+, the battery can be replaced free of charge. If you’re not sure if you have AppleCare+ coverage, enter your iPhone serial number on this Apple webpage to find out. Replacements can be carried out at an Apple Store or at one of its authorized service locations, or can be mailed to one of its repair centers. Full details are available here. So how do you know if your iPhone needs a new battery? Well, in March 2018, Apple included a new Battery Health tool with iOS 11.3, which, as the name of the feature cleverly suggests, tells you all about the state of your phone’s power source. Battery Health also lets you disable Apple’s controversial performance management system, though if you do so, your phone may sometimes shutdown unexpectedly, depending on the condition of the battery. You can find out how to use Battery Health here. In short, Apple recommends replacing an iPhone battery once its capacity falls below 80 percent. Apple admitted last year that it deliberately slowed down some iPhones to stabilize performance as the battery ages. The disclosure upset a lot of iPhone owners who were annoyed that Apple hadn’t been upfront about its actions when it began the practice via a software update it put out in 2016. Some also suspected it was a deliberate move by the tech giant to frustrate owners with slowed-down phones as a way of encouraging them to upgrade to a newer iPhone, a strategy known as planned obsolescence. The Cupertino, California-based company has always insisted its actions were supposed to benefit the user by reducing instances of sudden shutdowns caused by aging batteries. But the backlash prompted Apple to slash the cost of battery replacements for the whole of 2018.